THE DIRTY JOKER is ONLINE! Yes, it is true, friends! Shishido-san now has his very own, and highly cool, Official Website! If you haven't seen it, already--you need to get hip and go there, RIGHT NOW!! It is easy to find. Just go to www.joeshishido.com ! There are some incredible photos to check out, some hi-cara video clips to view, and some swingin' music to dig! What's not to like, I ask you? It is all JO and you know that's a good thing! Our Man is the subject of a new documentary entitled, "The Man With Three Faces". This documentary covers the before, during, and after of Shishido-san's most recent facial surgery. Apparently, the film contains some very graphic footage of the aforementioned surgery, too! Looks like that crazy, cool cat Jo is still pulling out all of the stops when it comes to doing the unexpected! The LINKS page has been updated! Please check it out! Konnichi wa Min'na-san! It has been nearly one full year since the last Yaju no Webpage update. Sumimasen! Time has been zipping past me like bullets from a gun and Jo news has been very scarce during the past 10 or 11 months, too. However, I am thrilled to be back and happy to have some good news to report!! The Return of The ACE!!! Jo is back big time, folks! Over the past few months he has been making some very vibrant personal appearances in support of the new DIG THE NIPPON line of classic film titles being issued on DVD from Nikkatsu. Our Man Jo has been thrilling audiences with his still-sharp pistol weilding abilities and his ever colorful and rivetting performance charisma. Check out some of the hi-cara pics (and the great interview..if you can read Japanese) from one of these appearances HERE! Like a tomodachi said, Jo seems to have found the Fountain of Youth!! 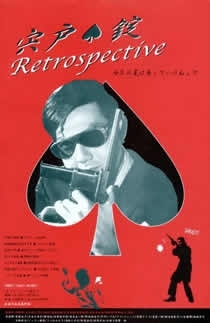 Also, there has been a successful retrospective of some of Jo's classic films making the rounds of the hippest theatres in Japan since the beginning of the year! It seems that Jo and his inimitable Cool are being discovered and rediscovered by fans of all ages. The Legend of Ace no Jo keeps growing---and that is flat swingin'! Dig it!! In addition to the above news tidbits..I have added some new photos to both the Yaju no Photos and Yaju no Action Figure pages. Check them out! Dozo! The photo page is getting huge (HUGE, I tell ya!) --so, it might take some time to load. But, I think you will find the wait worthwhile. The new pics are of some classic Nikkatsu Action movie posters featuring..who else?? That's right! Ace no Jo!! You have probably noticed I've made a change or two on the site. These changes were made mostly to accommodate new space limitations. I also wanted to make naviagation to the Guestbook easier. By the way--if you haven't already, please sign the Guestbook! I would love to hear from you! More news to be posted as it filters through! 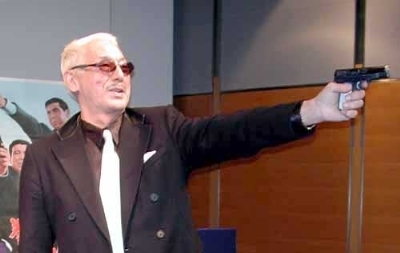 If you have any news regarding Shishido Jo--PLEASE do not hesitate to CONTACT me! As long as the news keeps coming in, I will keep updating this page! If you have any Shishido news to contribute, I would like to hear from you. Drop me a line! 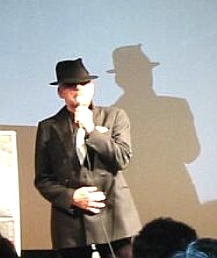 Shishido Jo has written an autobiographical novel (Click the cover image, to the right). The book is entitled (roughly), SHISHIDO: A NIKKATSU STORY NOVEL, and is being promoted as a work of fiction; though, most sources claim the book to be largely fact. 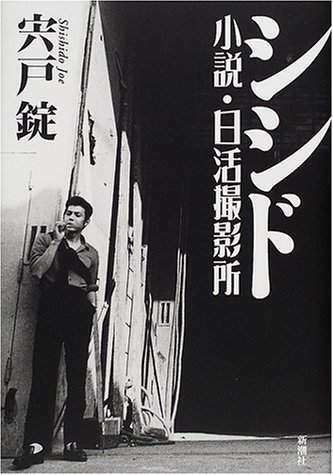 In the book, Jo recalls his days as one of Nikkatsu's major players, and his friendships with other stars from the grand studio's glory days (i.e., Ishihara Yujiro, Akagi Kei'ichiro, Kobayashi Akira, and others). This is merely conjecture on my part, but could it be Jo isn't taking any chances in this sue crazy world, and hence the "novel" tag? The book is, of course, only available in Japanese. If you are interested in purchasing a copy, please contact my friends at SASUGA JAPANESE BOOKSTORE in Cambridge, MA (see the links page). They can get copies from their Japanese distributor for around $24-$30 (depending on current currency values). Here is the book's ISBN: 4104443018.